Hulu Gains 10 Million Viewers In February, Now No. 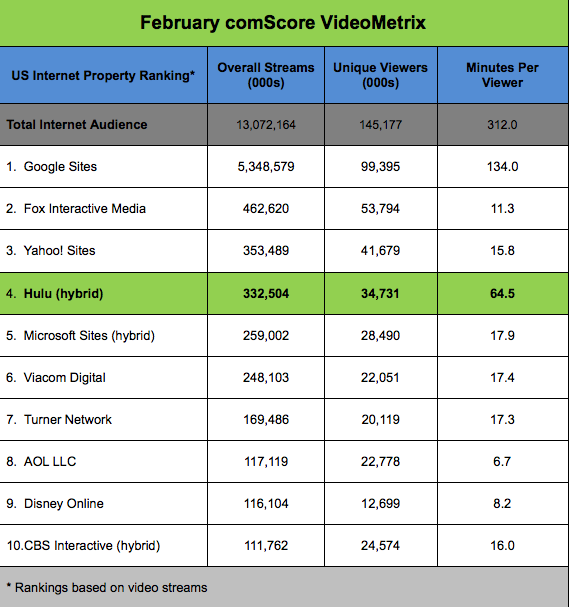 4 Video Site In U.S.
Hulu is really becoming a major force in online video. Since comScore started measuring last May, Hulu has grown the number of videos it streams by 277 percent, and its audience has grown 410 percent. 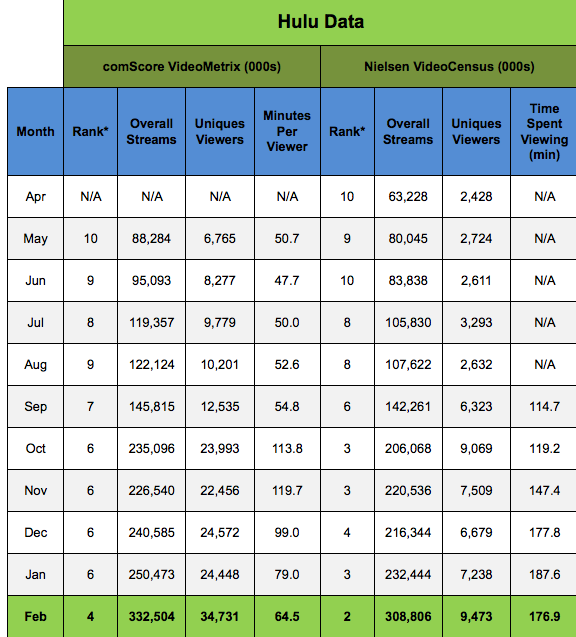 Nielsen VideoCensus data shows similar growth in streams (see second table below).